During last 2 days there has been unprecedented rush to buy new vehicles, vehicle showrooms had to be closed and at some places even police protection was required. The huge rush to buy vehicles has been triggered by heavy discount in terms of 12000-15000 + free insurance being offered by Auto-Companies. Why are company offering such heavy discounts on vehicles ? On 29th March, 2017, the Supreme Court of India passed a judgement where sale or registration of BSIII vehicles would stop from 1st April, 2017. So all the vehicles that were manufactured on BSIII standard but if these vehicles were not sold by 31 March, the companies would not be able to sell them on and after April 1. Hence, companies resorted to heavy discount to clear all these manufactured BSIII stock. Now, question arises what is BS I, II ,III IV Standards and why Supreme Court allow only BS IV from April 1? Bharat stage emission standards are emission standards instituted by the Government of India to regulate the pollutant levels emitted by vehicles that use combustion engines. To bring them into force, the Central Pollution Control Board, under the Ministry of Environment & Forests and Climate Change, sets timelines and standards which have to be followed by automakers. Now as far as BS I,II,III & IV are concerned, the higher the number gets, the stricter the Bharat Stage emission norms get which eventually means it becomes trickier (and costlier) for automakers to meet them. 1991 – Idle CO Limits for Gasoline Vehicles and Free Acceleration Smoke for Diesel Vehicles, Mass Emission Norms for Gasoline Vehicles. 1992 – Mass Emission Norms for Diesel Vehicles. 1996 – Revision of Mass Emission Norms for Gasoline and Diesel Vehicles, mandatory fitment of Catalytic Converter for Cars in Metros on Unleaded Gasoline. 1998 – Cold Start Norms Introduced. 2000 – India 2000 (Eq. to Euro I) Norms, Modified IDC (Indian Driving Cycle), Bharat Stage II Norms for Delhi. 2001 – Bharat Stage II (Eq. to Euro II) Norms for All Metros, Emission Norms for CNG & LPG Vehicles. 2003 – Bharat Stage II (Eq. to Euro II) Norms for 11 major cities. 2005 – From 1st April Bharat Stage III (Eq. to Euro III) Norms for 11 major cities and rest of the country moved to Bharat Stage II norms. 2010 – Bharat Stage – IV (Eq. to Euro IV) for 11 major cities and the rest of the country moved to Bharat Stage III. 2014 – October, BS IV norms made applicable to additional 20 cities. 2017 – April 1, Bharat Stage IV Emission Norms Nationwide. The Centre recently announced that India will leapfrog from the Bharat Stage (BS) IV emission norms that are now in force, to the BS VI norms by 2020, that is instead of stepwise up-gradation from BS-IV to BS-V and then BS-V to BS-VI, India will switch over directly from BS-IV to BS-VI auto fuels by April 1, 2020 . While vehicle manufacturers have been asked to gear up to meet the new deadline, oil companies will also have to prepare to retail BS VI-compliant fuel. China had already implemented China V (Equivalent to Euro V) norms in 2013. India also lags behind the European auto emission norms by five years, where Euro VI emission standard is already in place. Why this shift from BSIII to BSIV to BSVI necessary? The experience of countries such as China and Malaysia (which is currently grappling with haze) shows that poor air quality can be bad for business. Therefore, leapfrogging to BS VI can put India ahead in the race for investments too. On the flip side, the use of new technology means higher costs for automobile manufacturers. And that, will be passed on to the buyer which would basically inflate prices of vehicles. Oil refiners too will need higher capital outlays to produce superior quality fuel.This, eventually, will make owning an internal combustion engine powered car more expensive to own, and maintain. Supreme Court today banned the sale and registration of vehicles which are not compliant with BS-IV emission norms from April 1 across the country. The apex court observed that the “health of the people is more important than the commercial interest of automobile manufactures”. 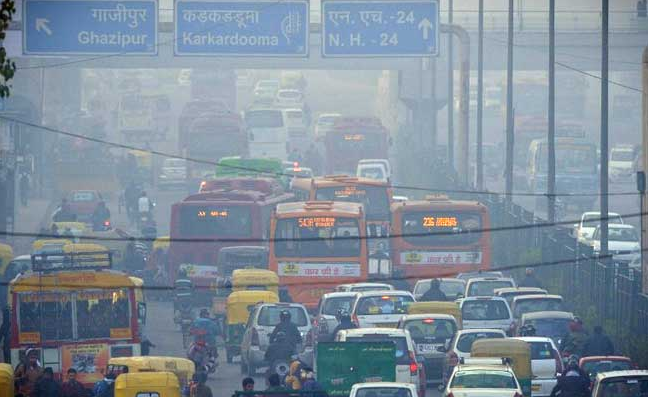 A bench of Justices Madan B Lokur and Deepak Gupta prohibited registration of any vehicles which do not meet the Bharat Stage-IV emission norm standards from April 1.